What facial product does IOI's Jung Chae Yeon recommend after washing your face? We've all been gushing over IOI member Jung Chae Yeon's perfect, healthy skin since 'Produce 101', so what's her beauty secret? 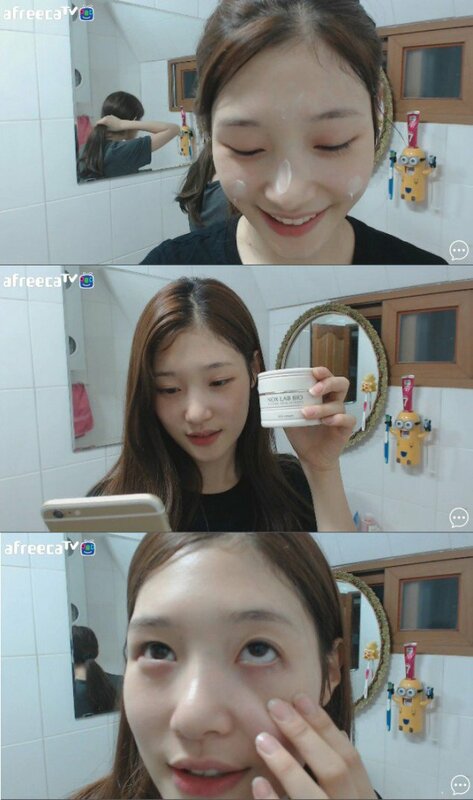 In a recent live broadcast Jung Chae Yeon held through 'afreeca tv', the idol began washing her face in front of her fans, eventually revealing her bare face! After washing, she held up her secret beauty product - Isa Knox's Nox Lab Bio Rich Cream! According to the product's descriptions, the cream is rich in omega-3 ingredients necessary for women's skin. Thanks Chae Yeon for the skincare tip! Try the product out for yourself when you get the chance!